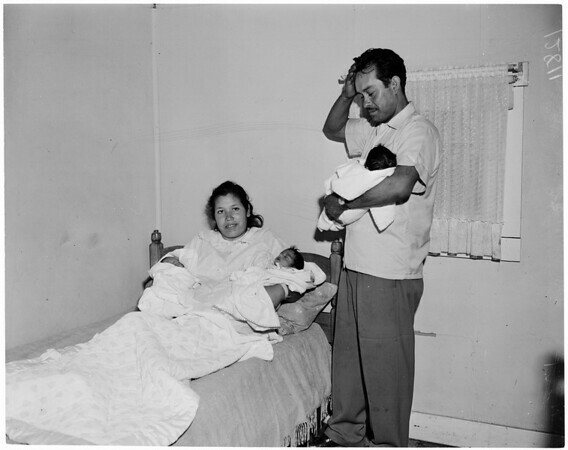 father, Jose, 32, holding Martha. Couple have 6 other kids including 1 set of twins. Father still speechless."